The King and Queen of Green rule at Moocooboola 2018 in Hunters Hill. 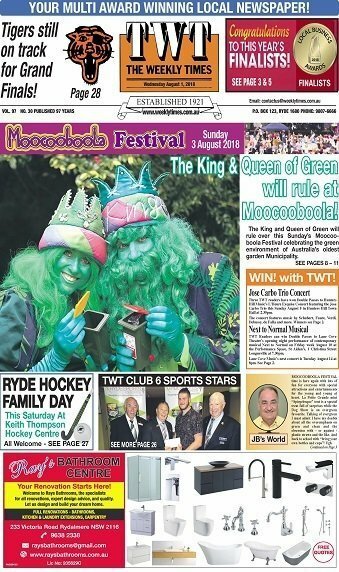 The King and Queen of Green will rule over this Sunday’s Moocooboola Festival celebrating the green environment of Australia’s oldest garden Municipality. 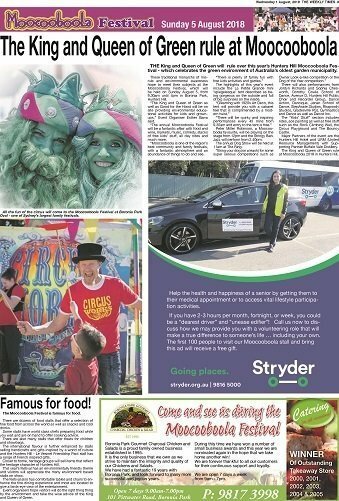 These traditional monarchs of misrule and environmental awareness hope to meet their subjects at the Moocooboola Festival, which will be held on Sunday August 5, from 9.30am until 4pm in Boronia Park, Hunters Hill. 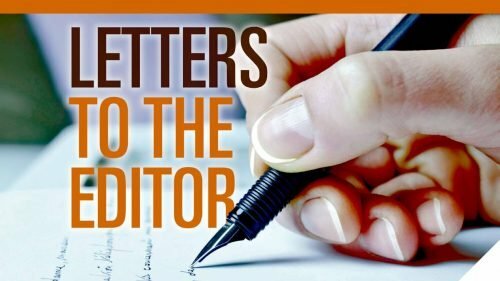 “The King and Queen of Green as well as Good for the Hood will be on site providing environmental educational activities for kids and grown-ups,” Event Organiser Esther Barra said. 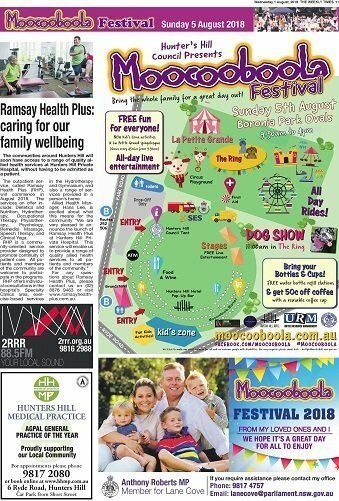 “The annual Moocooboola Festival will be a fantastic affair with food and wine, markets, music, comedy, stacks of free kids’ stuff, all day rides and much more. 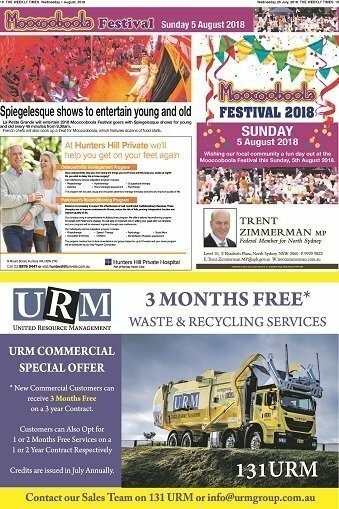 “Moocooboola is one of the region’s best community and family festivals, with a fantastic atmosphere and an abundance of things to do and see. The highlights of this year’s event include the La Petite Grande mini ‘spiegelesque’ tent described as being gorgeous on the outside and full of big surprises on the inside. 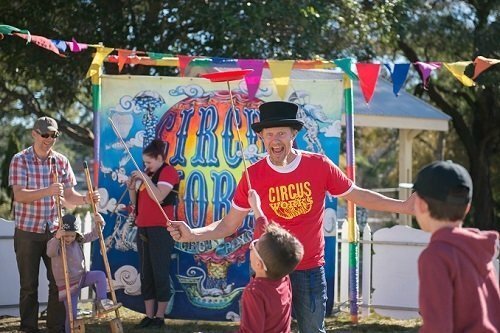 The Peter Miller Robinson, a Moocooboola favourite, will be playing on the stage from 12pm and the Stringy Bark Jazz will perform from 2.40pm. 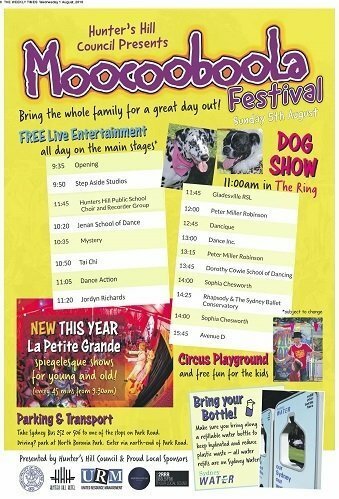 The annual Dog Show will be held at 11am at The Ring. There will also performances from Jordyn Richards and Sophia Chesworth, Dorothy Cowie School of Dance, Avenue D, Hunters Hill Public Choir and Recorder Group, Dance Action, Dancique, Jenan School of Dance, StepAside Studios, Rhapsody Studios, Gladesville RSL Gymnastics and Dance as well as Dance Inc. The “Kids’ Stuff” section includes rides, ace painting as well as free stuff such as the Rock Climbing Wall, the Circus Playground and The Bouncy Castle. Major Partners of the event are the Hunters Hill Hotel and URM (United Resource Management) with Supporting Partner Buffalo Vale Distillery. 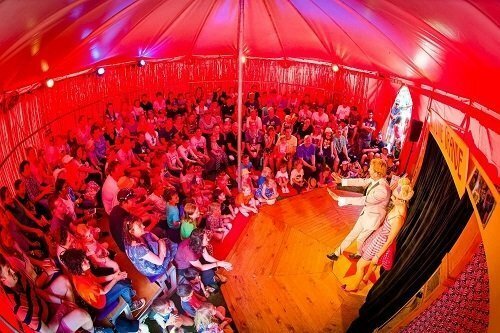 La Petite Grande will entertain 2018 Moocooboola Festival goers with Spiegelesque shows for young and old every 45 minutes from 9.30am. French chefs will also cook up a treat for Moocooboola, which features dozens of food stalls.